Seattle MidCentury Modern home is tastefully updated. (Watch for paywall). Architect Cliff May homes are popular in Colorado, but check out his architectural stamp in Long Beach, Calif.
Now for some overseas inspiration: This modernist French villa designed by Eileen Gray. 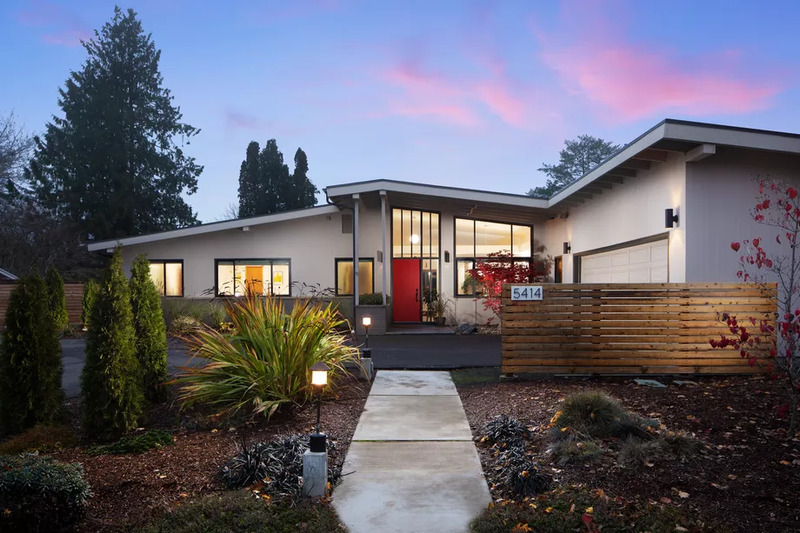 A Portland MidCentury Modern home on the market (see the above picture). That's it for now. If you're in the middle of the Midwest's snowstorm, have a hot cocoa and a very MCM day.